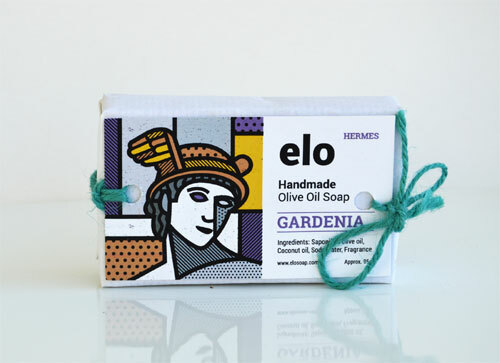 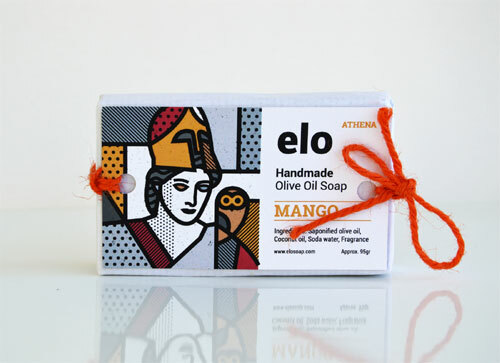 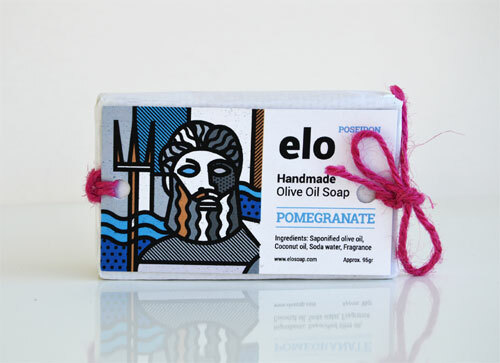 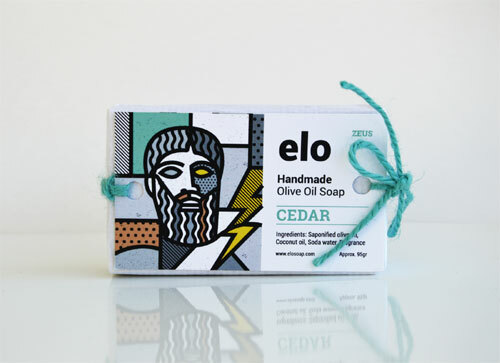 Elo Soaps a range of olive oil body products is a refreshing take on an overused Greek ancient gods theme that's commonly seen on souvenirs and gifts in Greece. 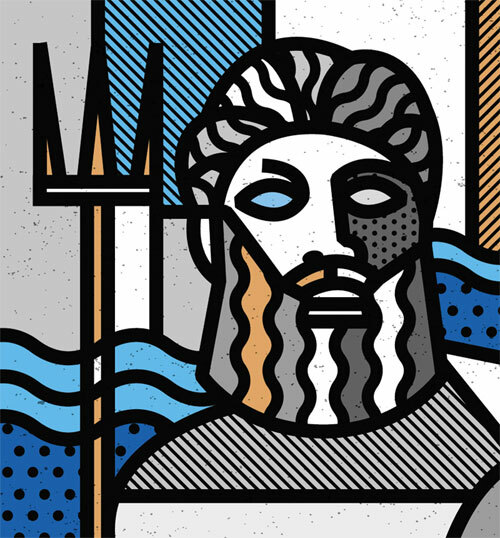 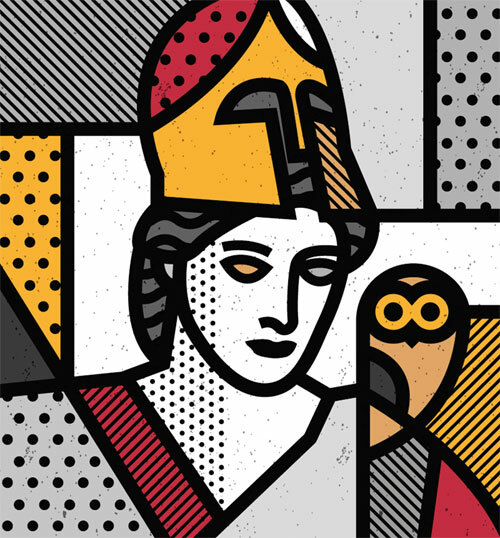 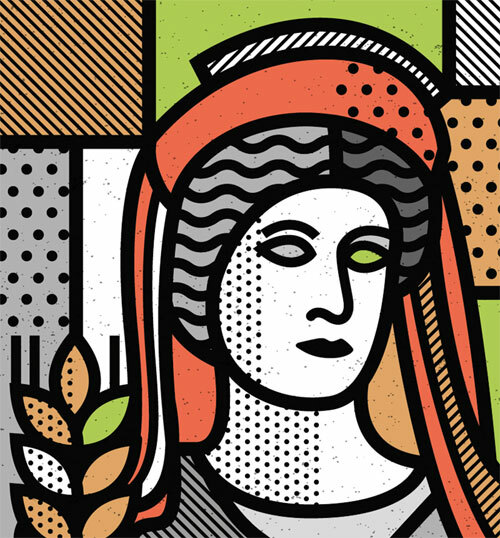 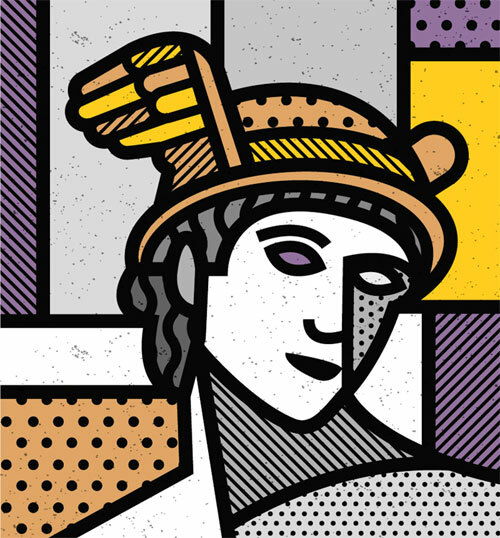 When Mike Karolos at Smirap Designs was approached to design something fresh and eye catching, he came up with amazing illustrations in his signature pop art style. 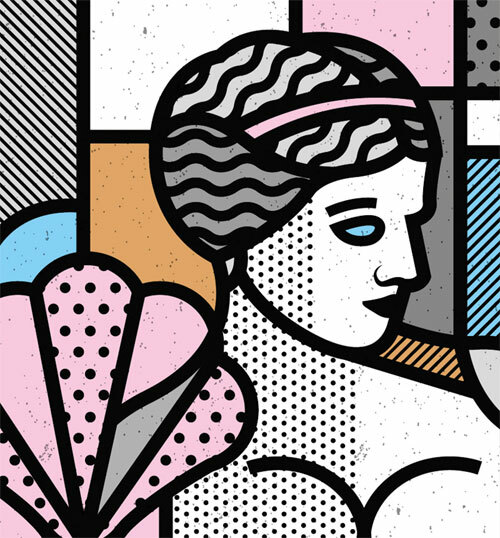 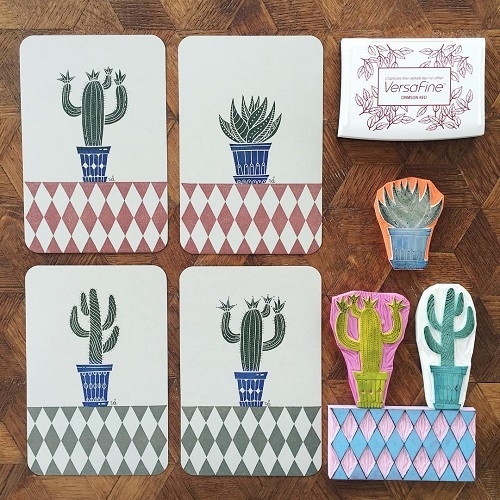 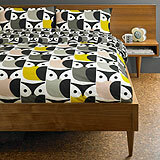 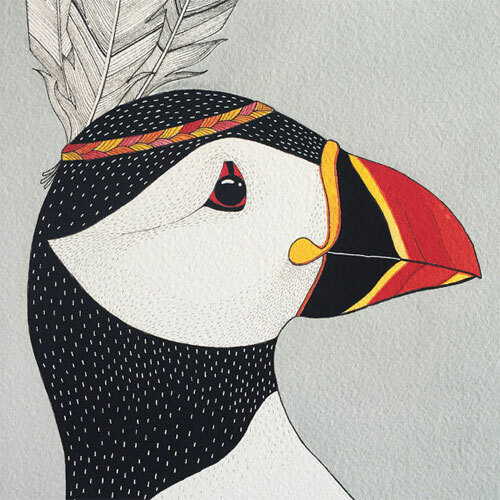 The illustrations are designed with simple lines and geometric shapes, using bold color palette and patterns. 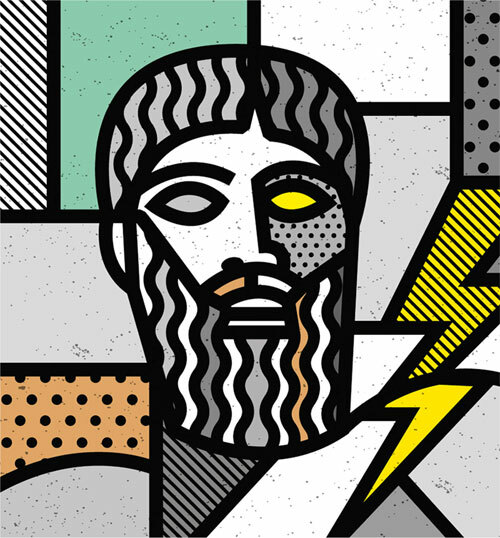 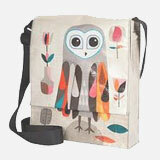 "Also each god is accompanied by a characteristic element like lightning for Zeus, the owl for Athena, etc. 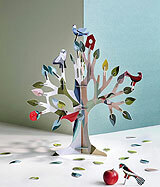 Those elements were also blended in with each god as it was a part of them and not something separate" via. 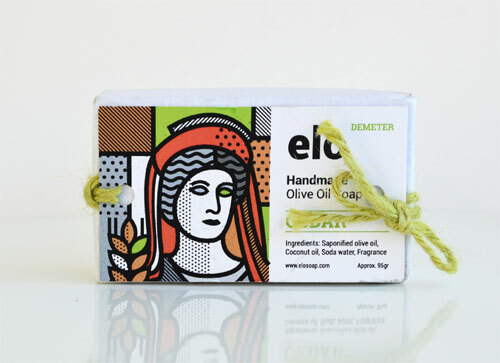 The package design is very clean and simple with illustration on one side and ingredients listed on the right on a white background. 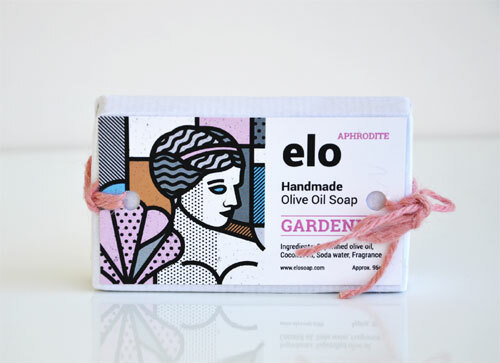 The label tied onto the wrapped soap with colored yarn gives packaging a handmade feel and makes is to look like a gift, since these soaps are made for tourist gift shops. 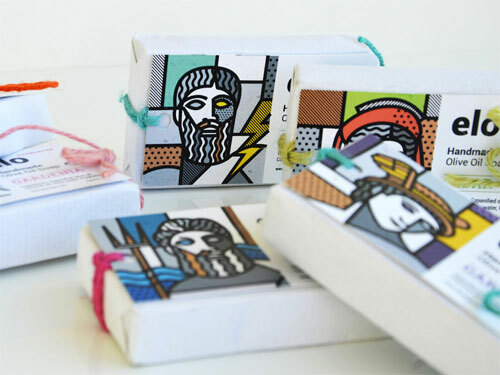 The unique packaging is sure to appeal to the tourist as well as the locals. 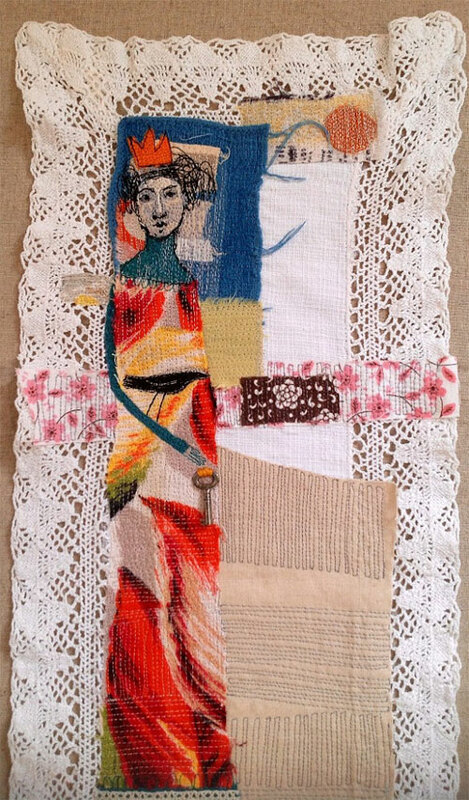 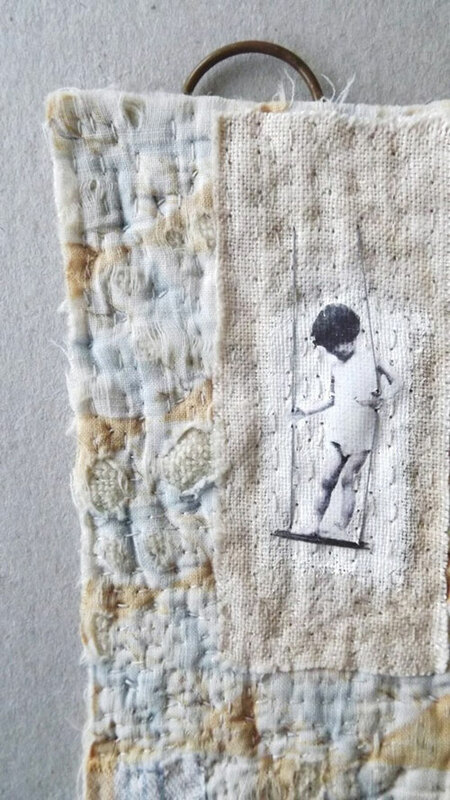 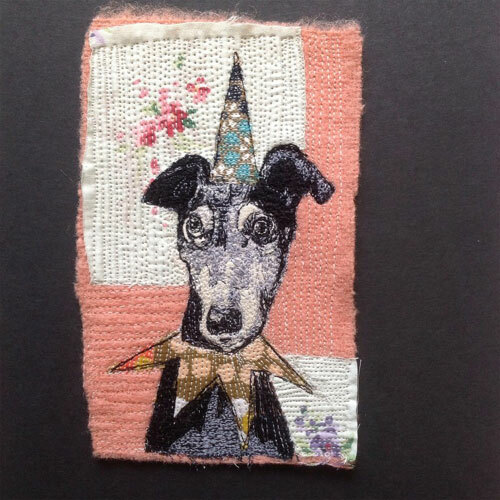 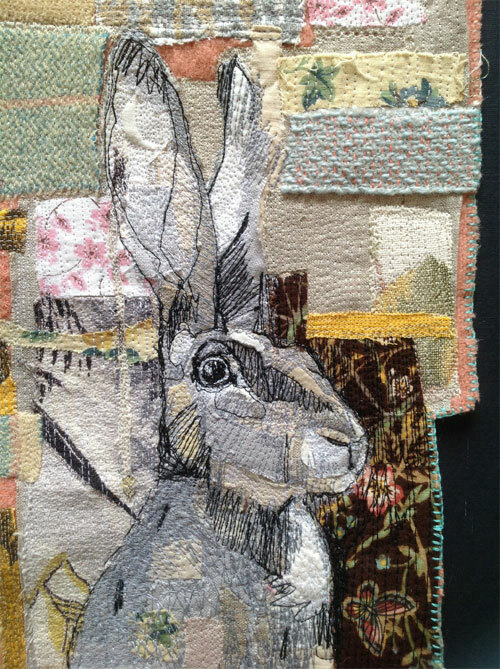 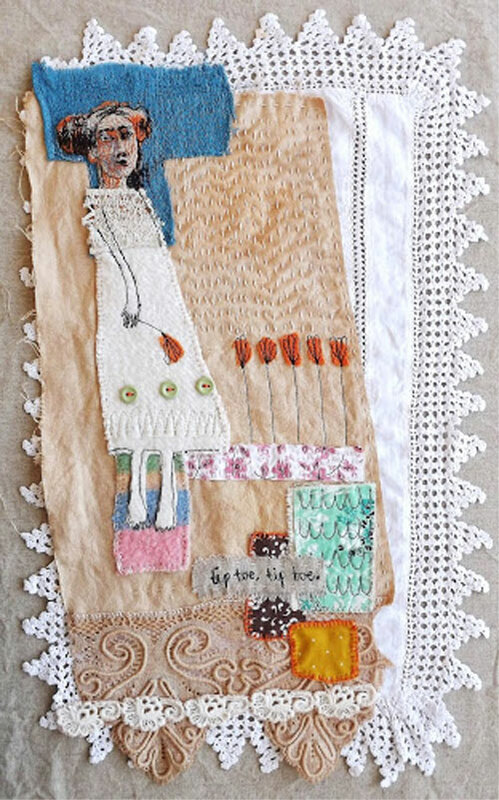 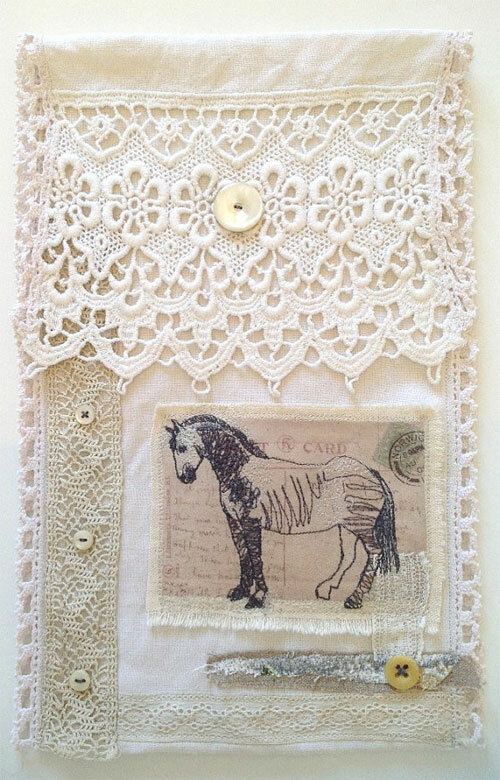 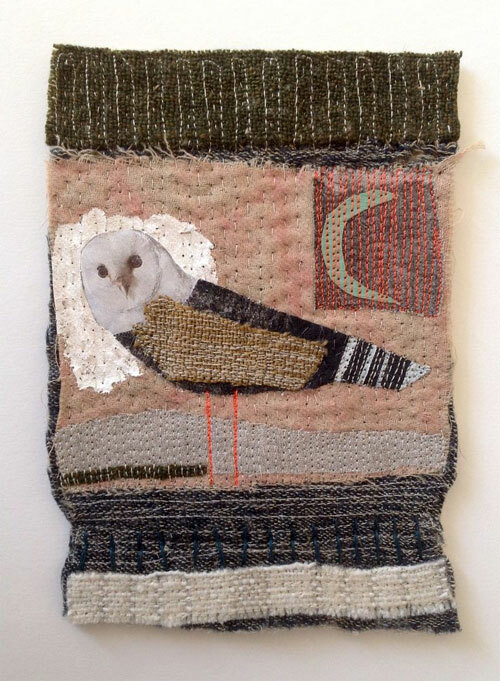 UK based textile artist Mrs Bertimus is a creator of lovely "things" (she calls them) a combination of little scraps of vintage fabric, buttons and laces collected on her trips to the charity shops. 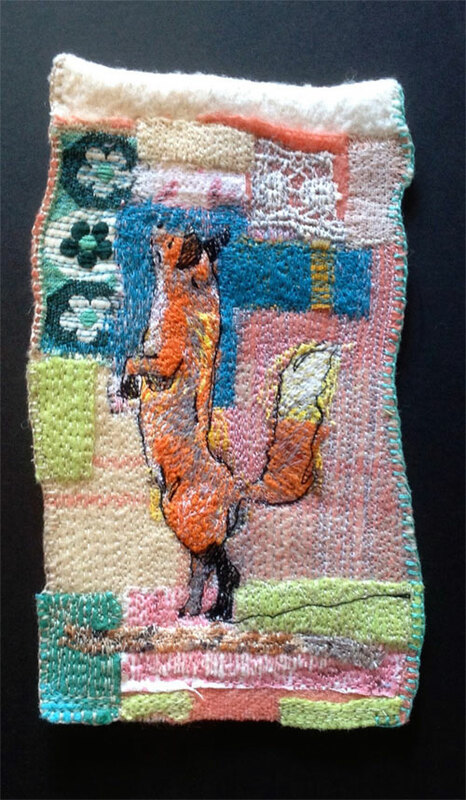 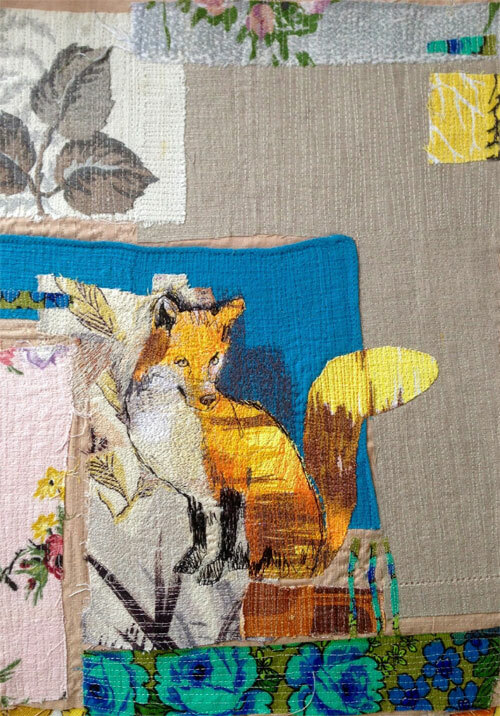 She carefully patches every little piece together and mixes them with her freestyle embroidery. 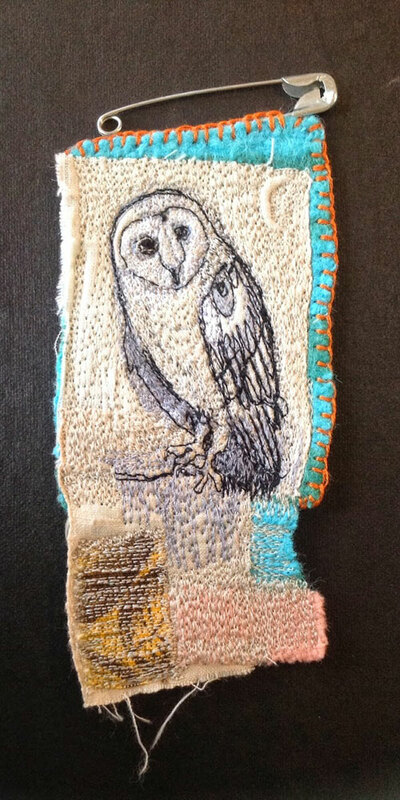 Her work often has owls, foxes, rabbits and human figures embroidered by her on the sewing machine that she has owned since she was only thirteen. 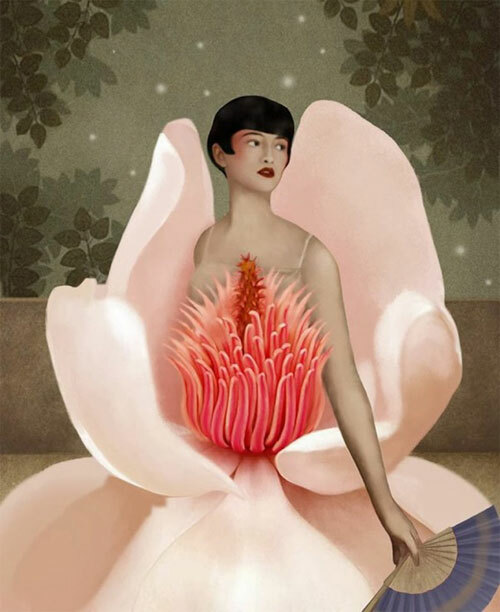 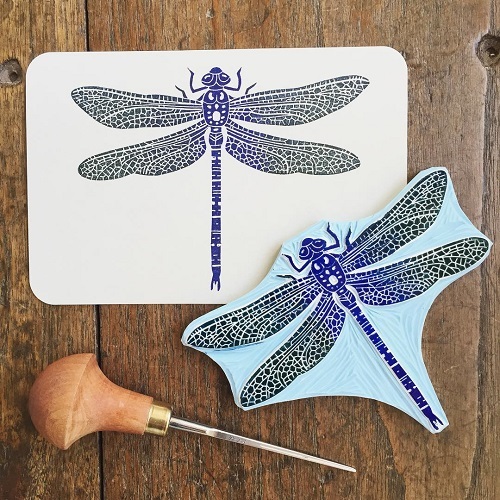 Check out more of her wonderful work on Pinterest. 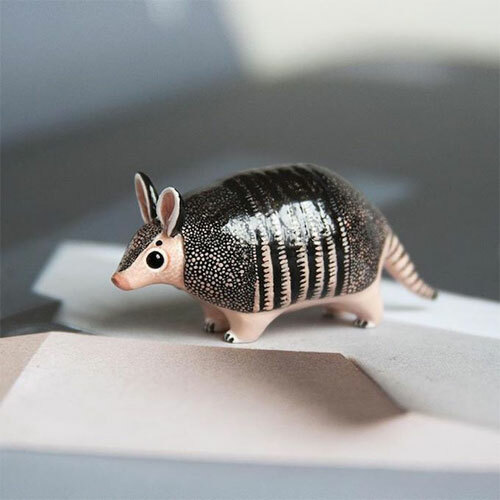 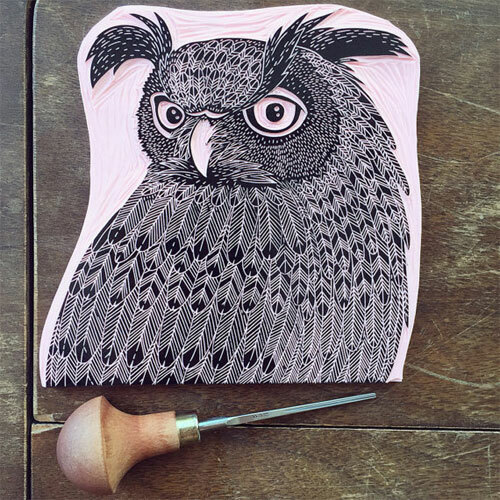 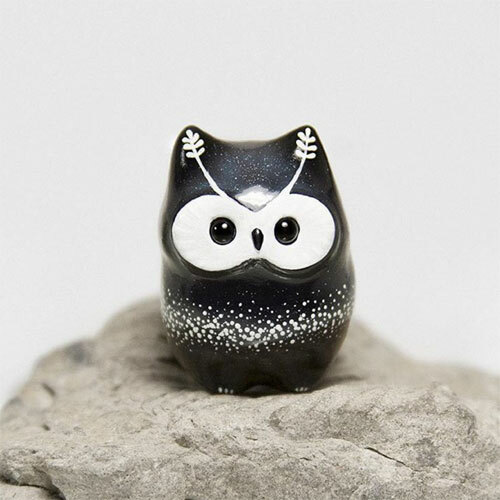 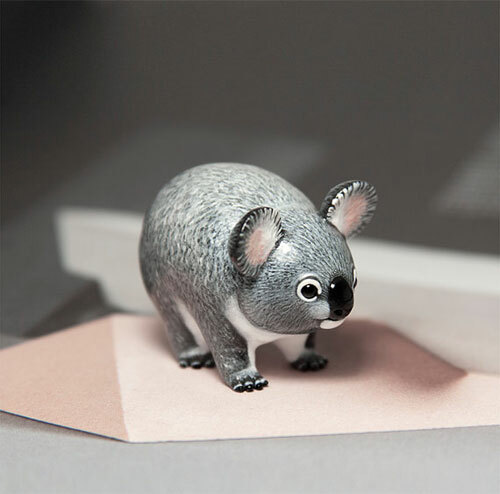 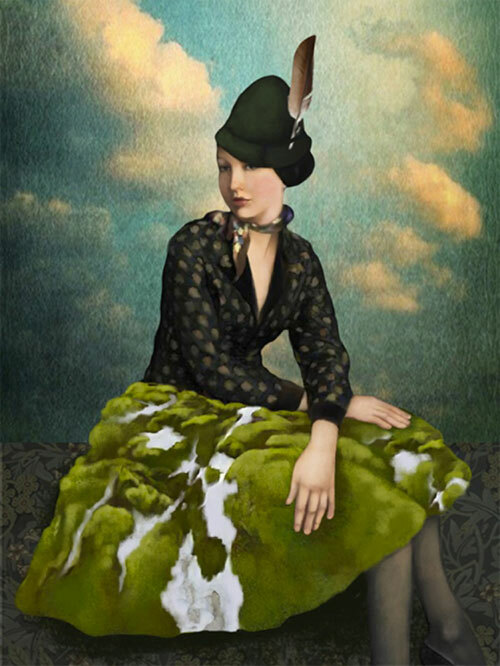 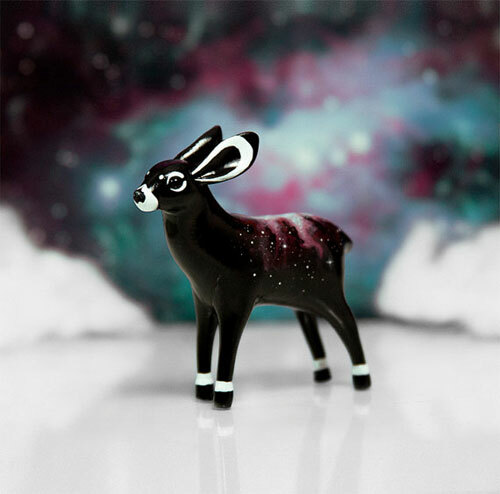 Vilnius based artist Raminta is the creator of all the tiny creatures at Rama Lama. 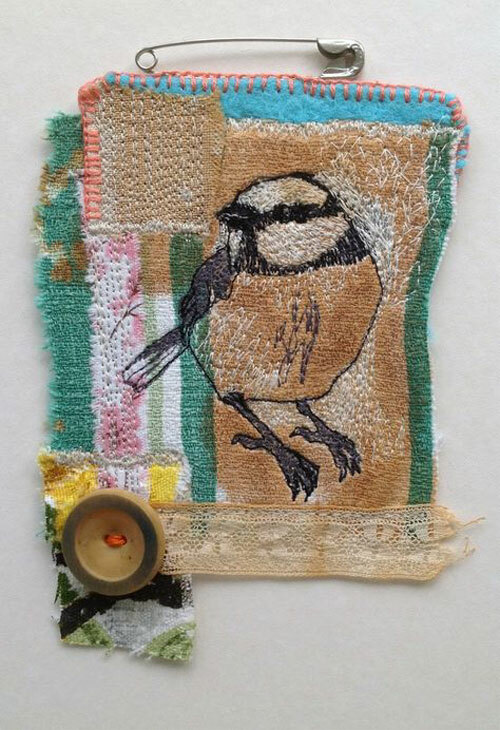 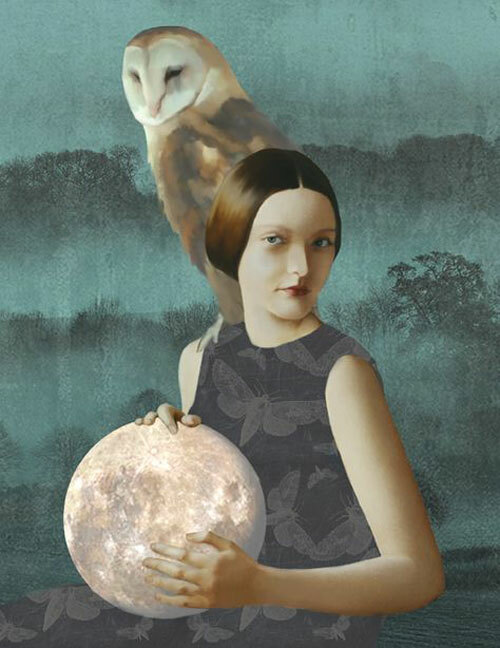 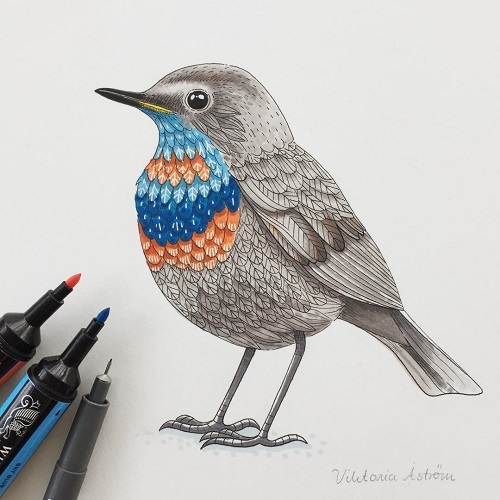 While growing up she was surrounded by delicate wildlife environment near Baltic Sea, where her passion for nature developed and inspired her work. 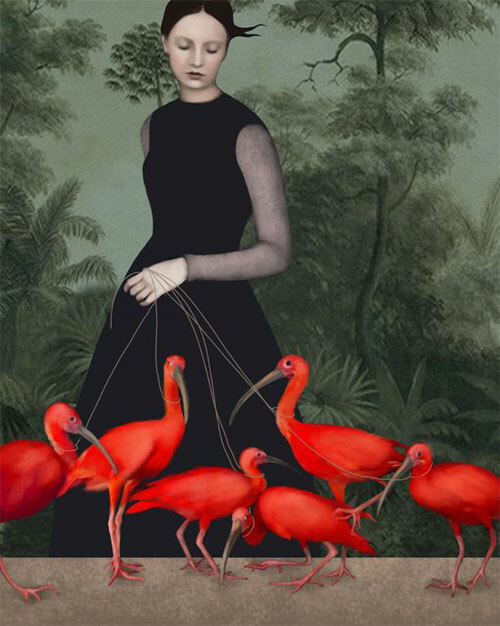 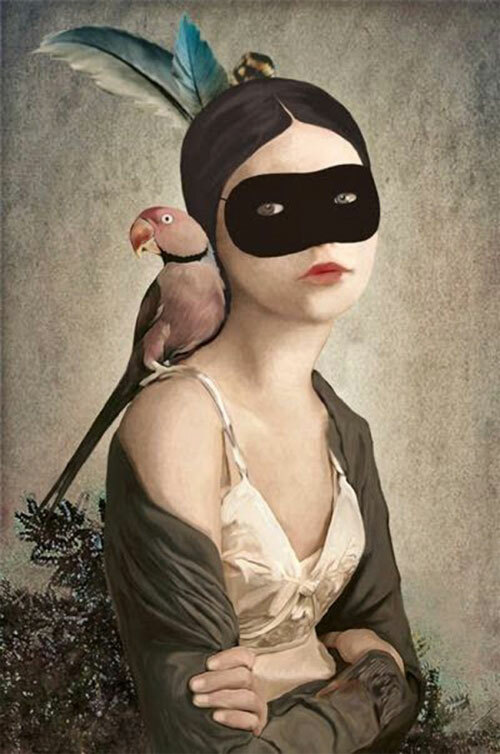 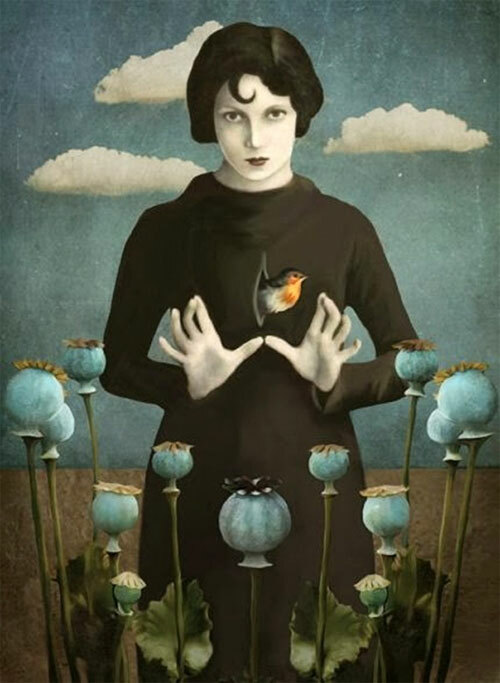 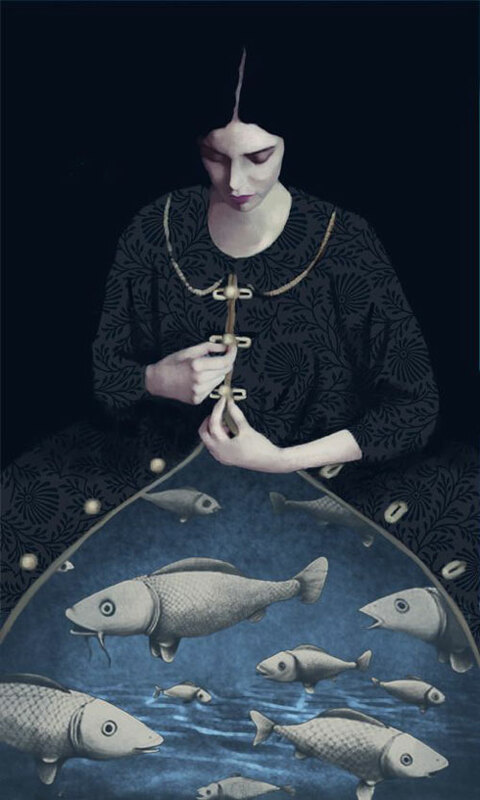 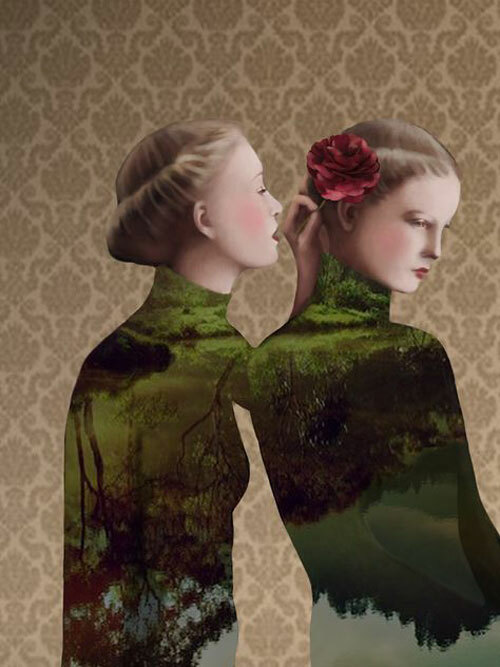 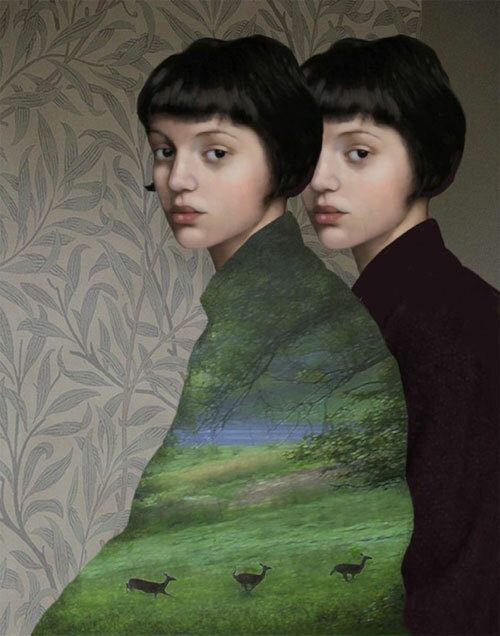 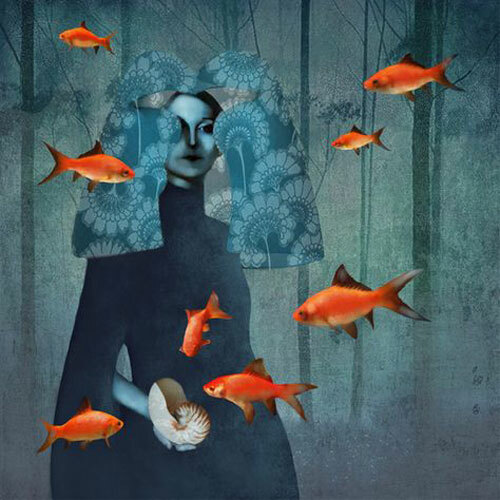 After she graduated in photography in Vilnius Academy of Arts, she dedicated her time mastering skills and learning new techniques. 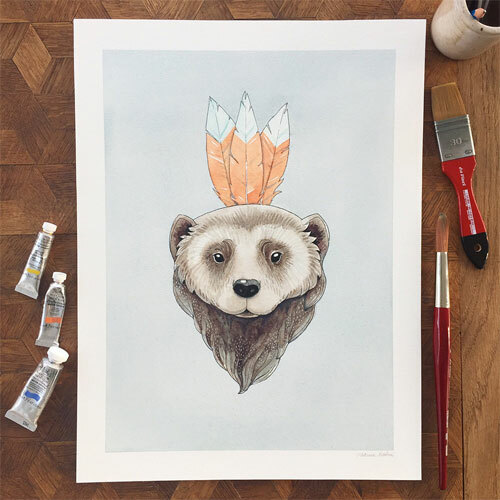 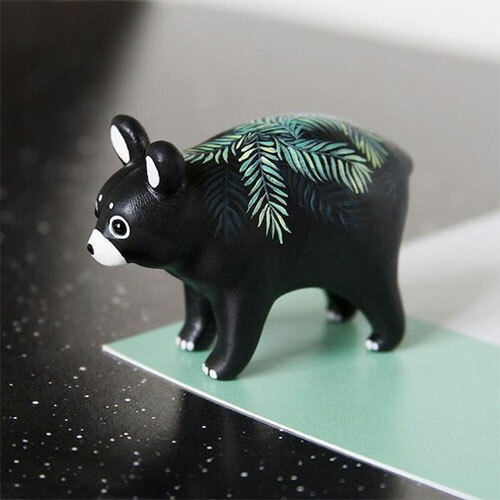 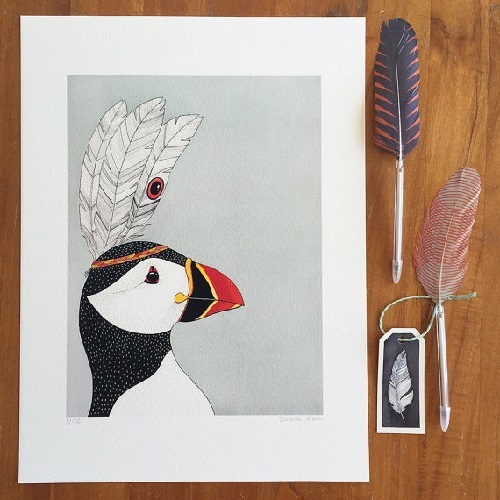 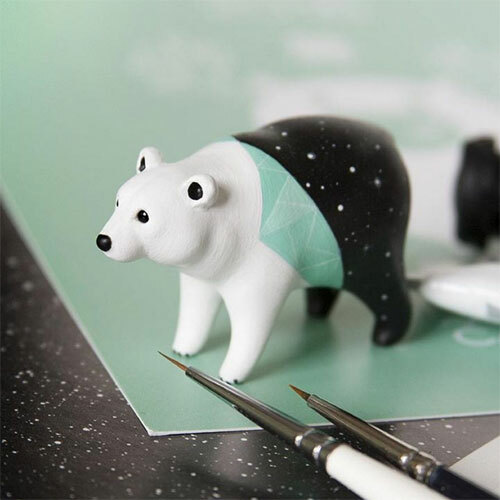 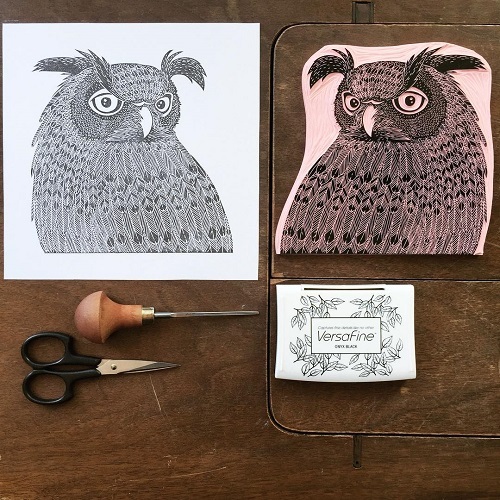 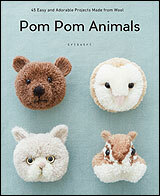 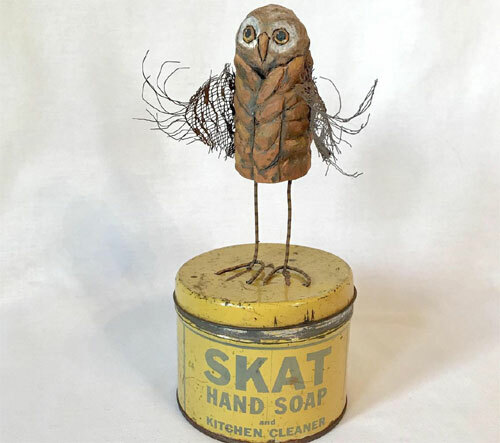 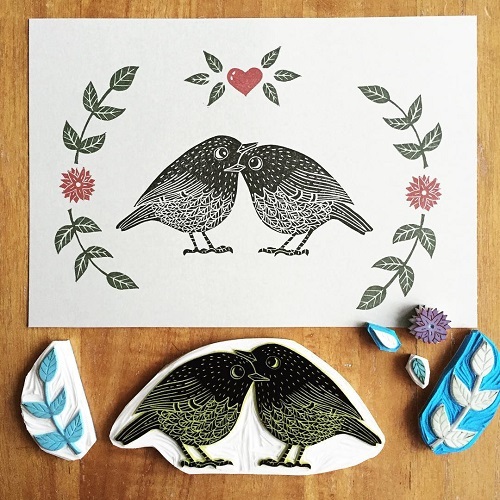 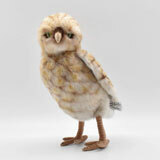 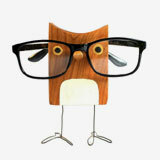 In 2012 her studio started to sell unique handmade animal totems and creatures. 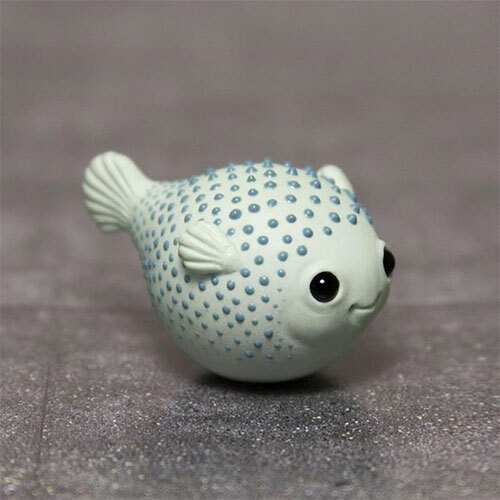 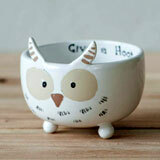 The creation of every animal figure begins with a little ball of clay which usually takes days to complete. 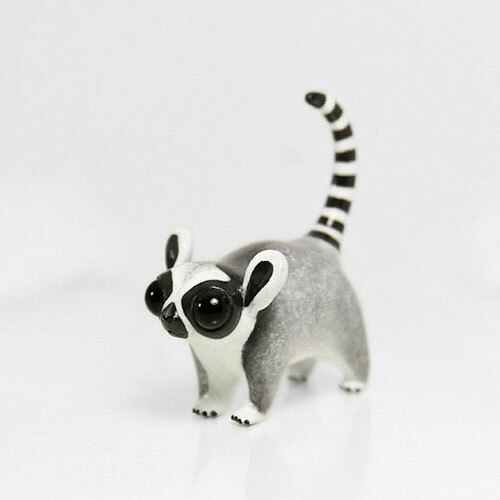 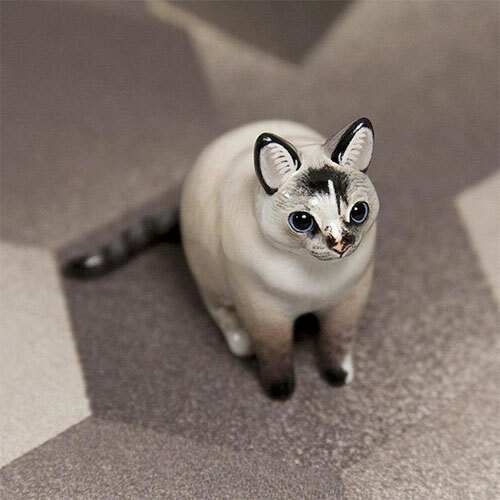 The sculptures are carefully hand-sculpted, hand-painted with maximum detail capturing the characteristics of each animal. 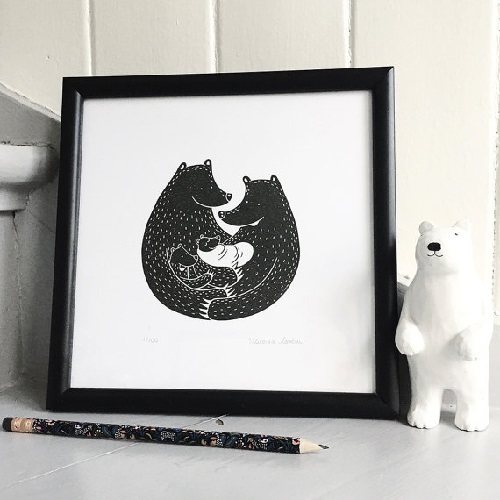 She updates about her new creations and posts the creatures that are available for purchase on Instagram.